The Bharat Bandh call given by the BJP led NDA against the petrol price hike has evoked mixed response. A few shops and autos that were plying on the roads were forced to shutdown.Altough all commercial establishments are majorly shut which includes even hotels and pan shops. 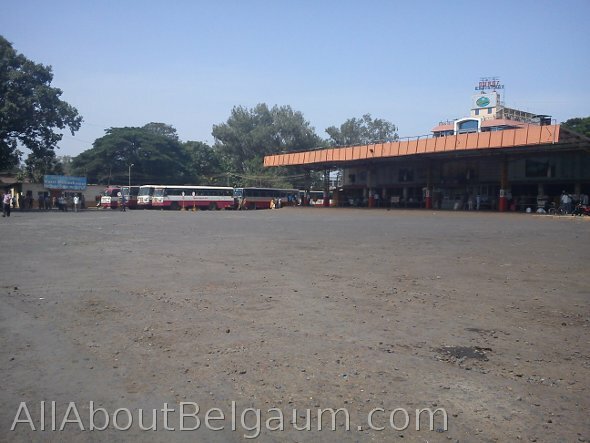 No untoward incident has been reported from city as yet the bandh has been peaceful. People were stranded at the bus stand as there were no buses and the city buses are also off the road. Banks are open but with very less inflow. All the major market areas are closed as of now. Schools are closed as the education department declared a holiday today. Sad to see how only the poor bear the brunt. The voices of these volunteers is against some poor hawker/bajiwali. In the truest sense, these bandhs need to be voluntary. But here you see how there is gundagardi to shut down the city…its sad. If they have the clout they should use the energy for productive agitations (again only voluntary engagement, not compulsive) against the evils in society like corruption, etc. Ofcourse inflation is an issue, but this is not how it can be solved. This is no justified way that BJP volunteers go about enforcing their dictat. Like rightly pointed out by Nikhil, if BJP is really concerned, take the common mans burden on its shoulder and reduce the taxes. That would win hearts. Not this shameless show of clout. This kind of attitude by the opposition only brings one cynical thought in mind(sadly)..sab choor hai. the politicians comes where we live in that society only. bjp karyakartas know there responsibility , today s bandh we requested to all organisations personally to support bharat bandh. we protested very peacefully without harming any public & public assets. kar govt.also planing to reduce the tax for petrol & help the people. but in Karnataka mlc elections going on,(chunvana neeti sanhita) so kar.govt. present cant do anything. Thanks for coming on a public platform and trying to justify your points..
You can request all organizations to support bharat bandh, but can you justify what organization that hawker belonged to whom the lady karyakarta threatened to pull her goods off the bardan where she had stacked for selling? Clearly that instance and various others in the videos, you will notice that it didn’t seem like a request, but more a diktat…That is what I am trying to point out and that is what I feel is wrong. Give everybody their right to accept the Bandh or reject it…and then analyze how successful was your call for bandh. Regarding justifying protests peacefully, are you aware that the same party workers have created havoc and caused damage to several hundreds and thousands of crores to public property which came from taxes from my hard earned money? Are Bandhs a productive way to protest? The ruling party talk of GDP going down and justify it to a few factors, and you in opposition talk of Bandhs to ‘progress’ in the same direction. So where is the so called ‘responsibility’ seen here? I accept that you cant do much during elections, but I am sure that elections were not around the corner during every hype. Its a lame duck excuse for taking the burden. Like I said earlier, I feel sad to be cynical. But unfortunately cant feel otherwise when negatives are being justified as positives. Just remembered a fact which I had forgotten to mention: According to Supreme court, calling for Bandhs is illegal. You have a right to protest, yes..but you cant call a Bandh as you guyz are doing. Many lower cadre karyakartas might be un-aware of it as it happens in most cases as a part of mob psychology or blind following. Justifying an illegal act as social service and community work is laughable. Thats the irony. The BJP govt is quick to criticise the centre on fuel price hikes but charges 25% VAT on petrol and 5% entry tax on the same i.e. 30% (second highest in India – next only to AP who charges 33%). If BJP is concerned by the problems of the Aam Aadmi, they can reduce the fuel price by about Rs. 15 per litre! But no, they are only busy filling their own pockets and blame everyone for price hikes.